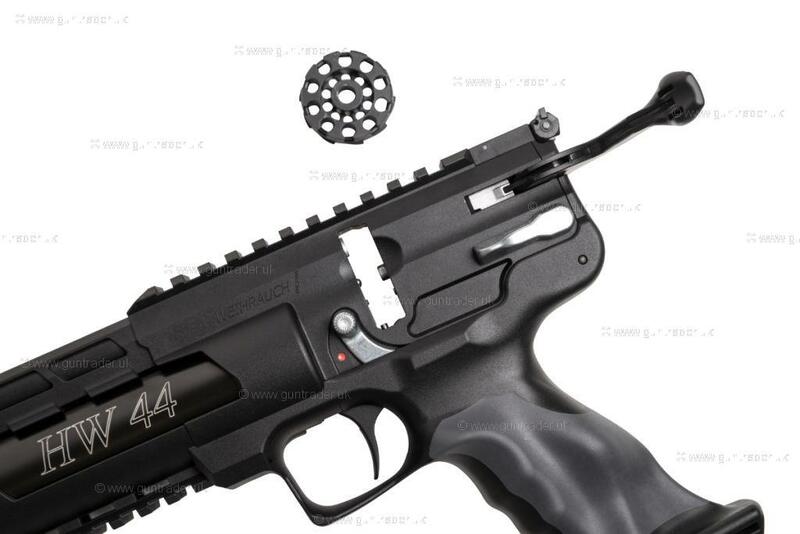 Weihrauch .177 HW 44 Pre-charged Pneumatic New Air Pistol for sale. Buy for £635. 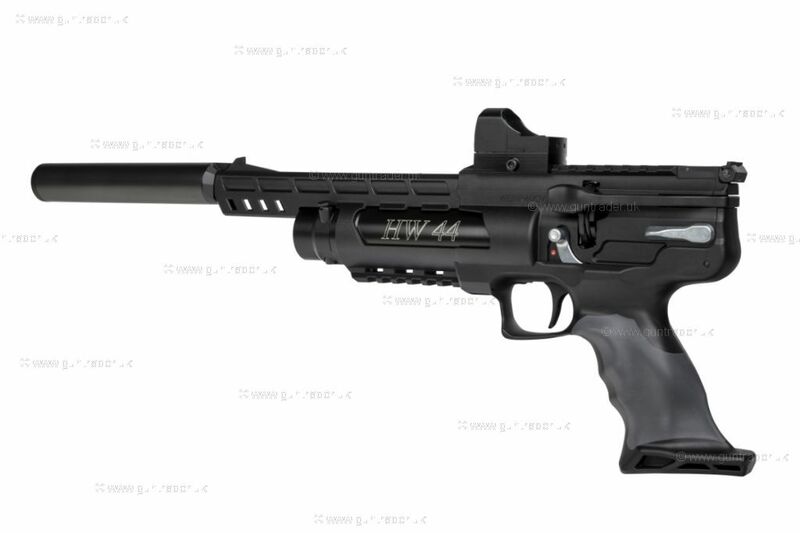 Weihrauch’s new and long awaited Pre-Charged Air Pistol, the HW44 has been one of the most talked about PCP Air Pistol’s for a long time. Sharing many characteristics with the successful HW110 Air Rifle, the Pre-Charged HW44 has been designed for those wanting a reliable, accurate and consistent Air Pistol for competition and pest control. 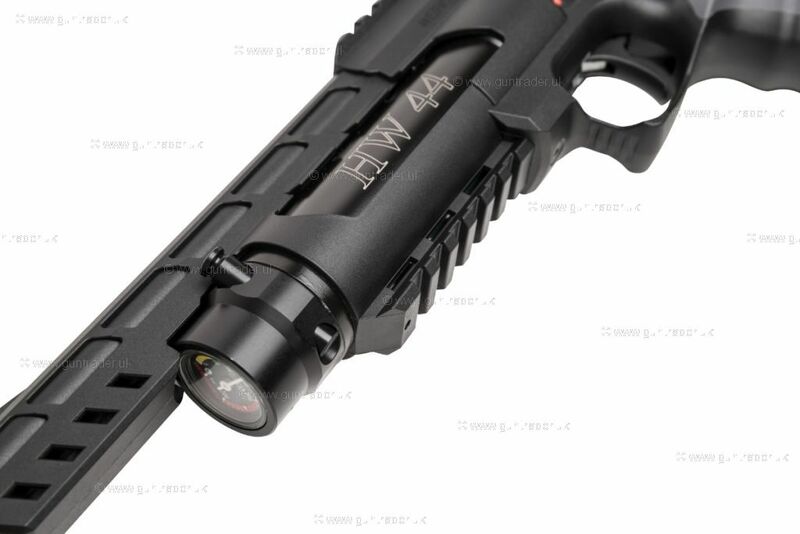 Each pistol is supplied with 2 x 10 round magazines, charging probe and have a weaver rail system fitted for scopes. Weihrauch have fitted this revolutionary Air Pistol with a regulator to extend the shot count and provide unrivalled shot consistency from a pistol that is nearly half the price of its match competitors.